The Witcher is a famous series of fantasy short stories written by Andrzej Sapkowski. There are also five novels, collectively known as the Witcher Saga or the Blood of the Elves saga. 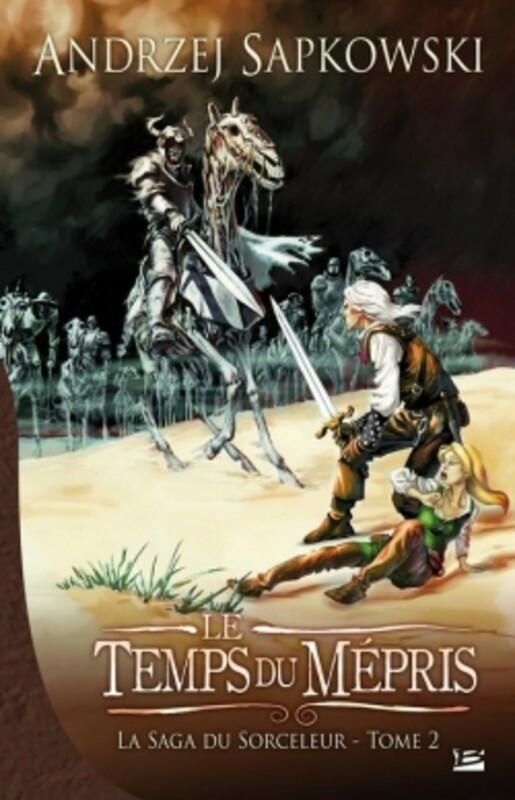 The main character of these stories is the witcher Geralt of Rivia, whose adventures have also been adapted in to the various other art forms: a movie and television series (The Hexer), a computer game (The Witcher), a comic book and others. 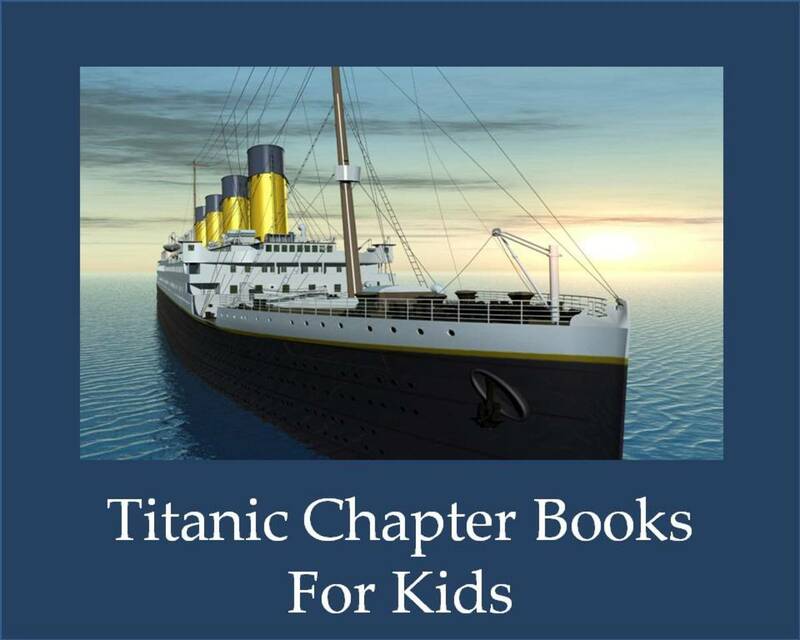 The prominent motif of these tales is the shades of grey in everyone, coated in humorous narrative full of subtle anachronisms. 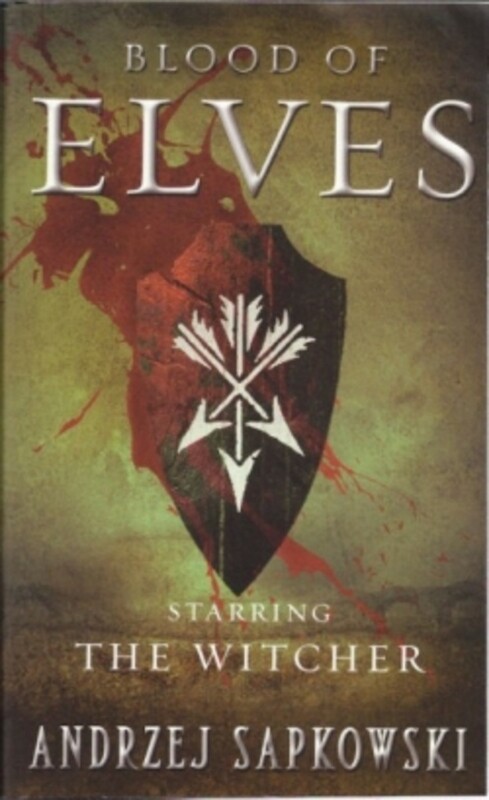 The Blood of the Elves series embraces five novels in which the author merges the tales from the short stories into a single and coherent plot. Besides Geralt, princess Ciri stands out as one of the most important characters of the series. She is forever bound to Geralt, by the Strings of Fate. As the story develops, the struggle between the Northern Kingdoms and the invading Nilfgaard Empire rages in the background of the events. Something Ends, Something Begins (2000, English edition expected: unknown). This collection contains various stories by Sapkowski, including two from the Witcher saga. A Polish Book of Monsters, an English anthology edited and translated by Michael Kandel, contains a unique translation of "The Witcher" short story, translated as "Spellmaker". The same story is found in The Last Wish but a different translation was used. (2010). This book was a breath of fresh air. 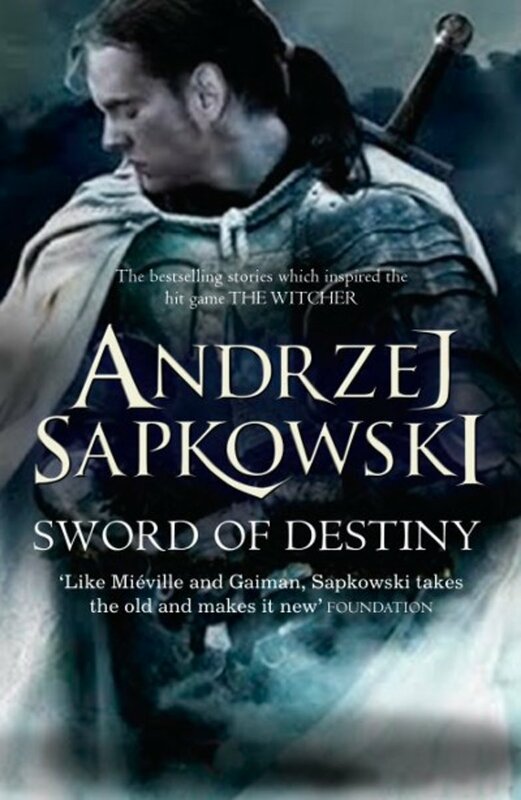 Andrzej Sapkowski, has written a fresh start to fantasy and bringing in hints of the familiar with original twists. The Witcher is an engaging character. You start understanding how you the reader fear the Witcher as much as the peasants do. Then you begin to understand the sacrifice he lives with each day to make the world a safer place. If you've found yourself in a rut with the same old fantasy epic, quest, got to rescue the dame again. Pick up the The Last Wish and remember why you love fantasy all over again. The Last Wish isn't so much a novel, but rather a set of interconnected stories, told themselves within the frame of another story, The Voice of Reason. This story works very well as Geralt tells some of his past adventures to various people in holy place where he wakes. Much rumor and assumptions are made about the monsters Geralt hunts in this book and unraveling these assumptions along with those surrounding Geralt proved to be perhaps the strongest element of these interconnected stories. The Witcher introduces our protagonist in a typical bar-room brawl. Before Geralt winds up killing three men, the other characters in the bar deride Geralt for being a Witcher, a mutant and an outcast. The quick fight and hushed whispers of the other characters help to paint a picture of Geralt and Witchers that emerges over the course of the stories in this book. Soon the real action of the story takes place as Geralt is recruited to fight a striga, a female transformed into a monster. Sapkowski's layered plot in this short story illustrates a commendable ability to pack a great deal of story into a relatively small amount of pages. 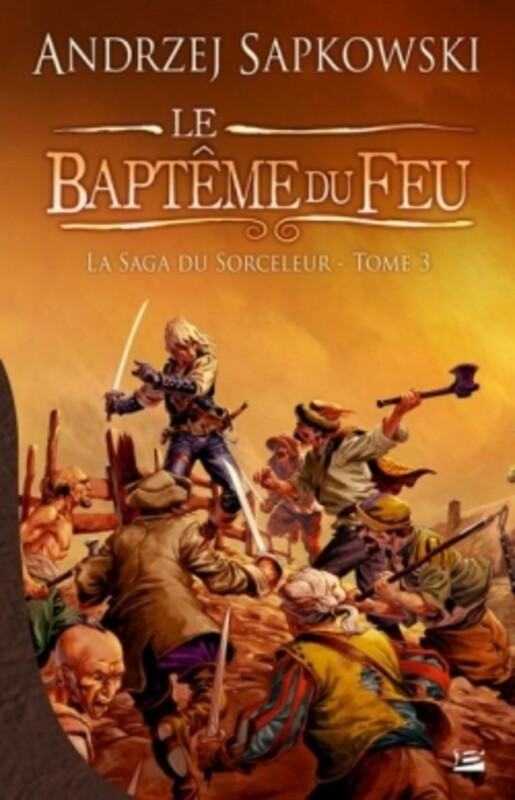 A bit of internet investigation suggests that this story is the most popular and most widely translated of Sapkowski's Geralt stories. The second story titled, A Grain of Truth, again was more than the surface implied, which is true of both Geralt and Nivellen, the monster he is hunting. Similar in appearance to a bear, Nivellen is a man cursed for a past wrongdoing. Elements of this story reminded me of Jeffrey Ford's Cosmology of the Wider World. 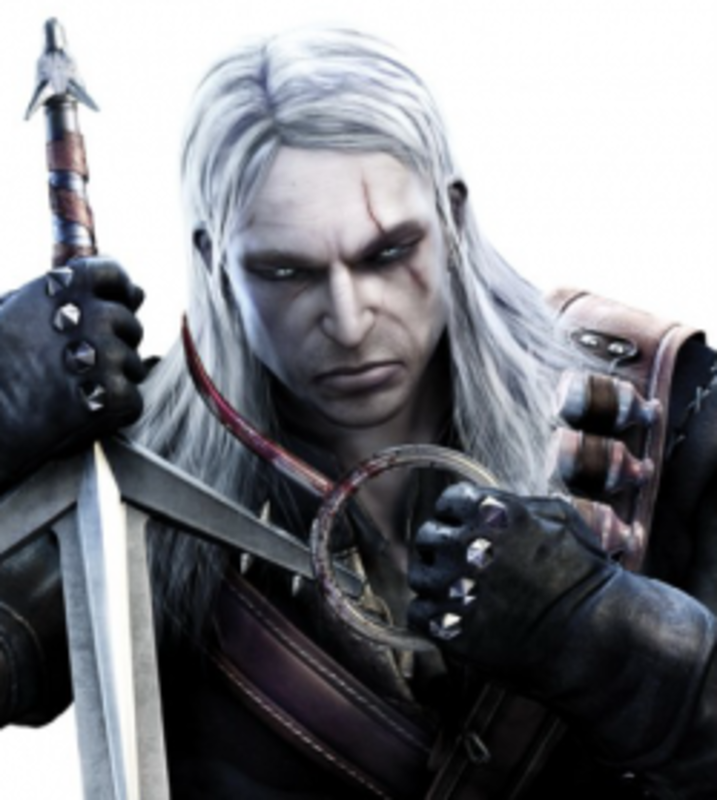 We learn a bit more about Geralt in this story; he is not simply a heartless monster hunter. The Lesser Evil tells of how Geralt tries to collect a reward for a monster he killed and is soon led to make a difficult moral and emotional choice. Here, Geralt meets a wizard, Stregobor, who seeks Geralt's aid in eluding a monster. The world in which Geralt makes his living is fleshed out further in this story and shows Geralt at an impasse between two opposing characters, questioning his own judgment. Thrust into high society, Geralt plays the role of a nobleman in A Question of Price. While many of the same prejudices people have about Geralt and his kind hinted at in The Witcher are present in this story, Sapkowski does a fine job of fleshing out the character of Geralt and what Witchers are and how they become that way. We are introduced to Dandelion the bard, a Moonglum-ish sidekick for Geralt in The Edge of the World, which recounts their first adventure together. A devil and Elves come into the plot as farmers are being forced to give up much of their grain to the devil. Geralt and Dandelion uncover a deeper plot as the story progresses, fighting the "devil" and getting into trouble with the Elves. In The Last Wish, Geralt and Dandelion cross paths with a sorceress by the name of Yennefer, who may play a larger role in future Geralt stories. A nice amount of sexual tension bubbles over between Geralt and Yennefer as they try to rid an area of a malevolent genie. Also in this story, the varying classes of magic-wielders are further broadened, lending an even more magical overtone to the already fantastical setting. Reading these stories was rather refreshing in that the magical elements were somewhat familiar, but reinterpreted through the myths and folklore of Sapkowski's Polish/Slavic background. 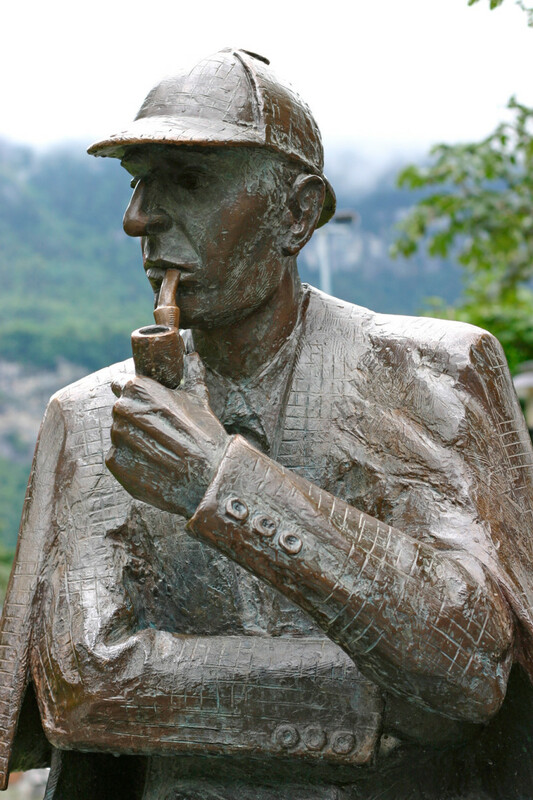 The vague familiarity also worked very well to lull you into thinking you knew what might happen only to reveal by story's end "what really happened." The interconnected collection and "story within a story" framework is a great introduction to Geralt and the fantastical world in which he resides, only hinting at the depth of the world and intrigue of the character. 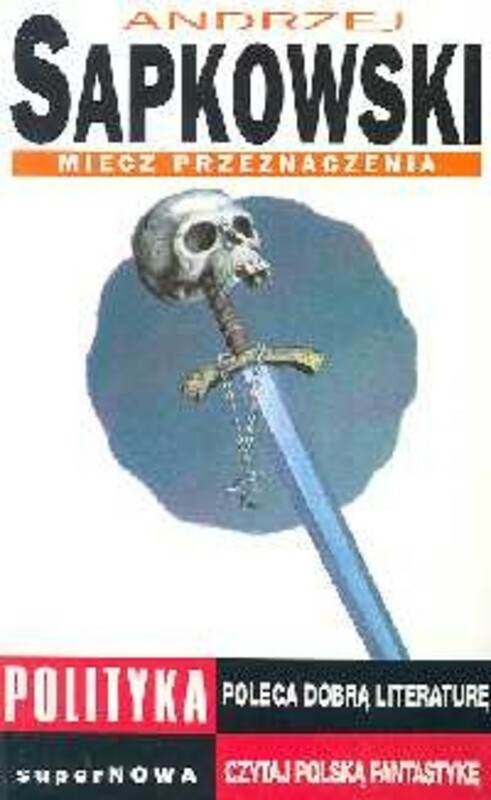 Miecz przeznaczenia (English: The Sword of Destiny) is the second book in Andrzej Sapkowski's Witcher series in terms of internal chronology, although the original Polish edition was published in 1992, before The Last Wish. Some of the individual short stories were first published in the Fantastyka magazine. 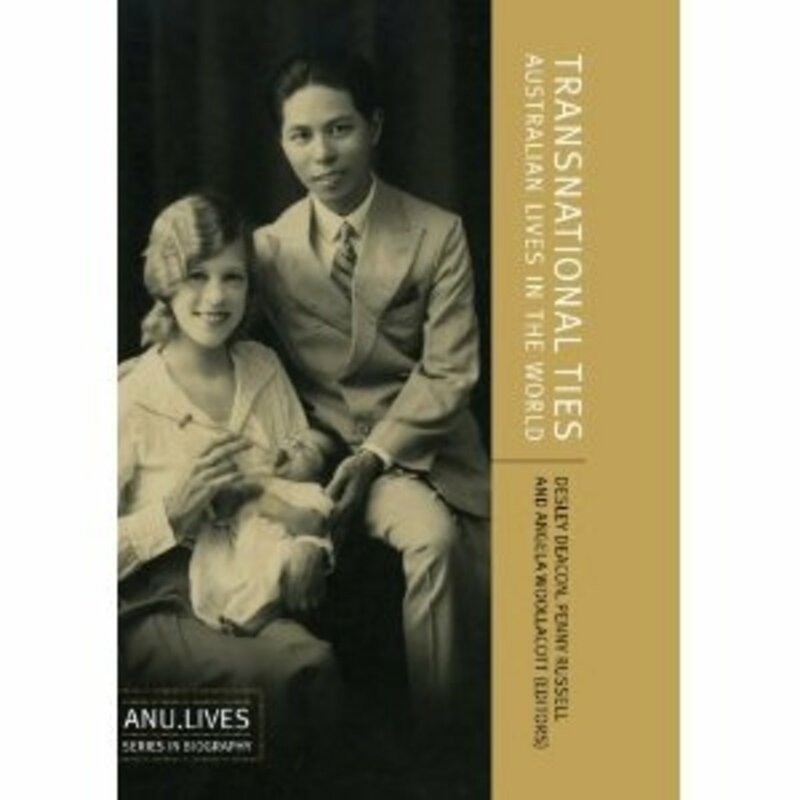 The book has been translated into Czech, Russian, Lithuanian, German, Italian, Spanish, Bulgarian, Serbian and French with a Finnish translation coming in 2011. It has not been translated into English but from what I've heard it will be published on July 27th 2011. 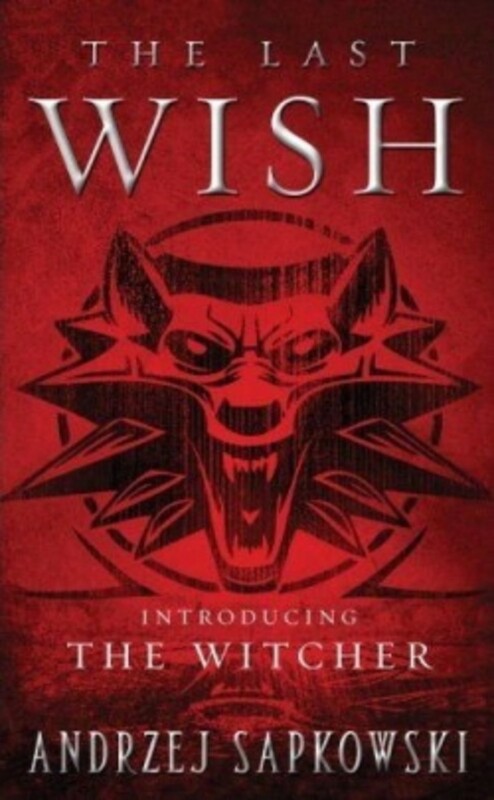 The publisher of the English edition of the Witcher books decided to skip Miecz przeznaczenia and publish Blood of Elves (the first novel in the Witcher saga) directly after The Last Wish, even though the short stories in this collection take place earlier and introduce some of the characters that become major characters in the novels. Something Ends, Something Begins is a short story collection by Andrzej Sapkowski and the title of one of the stories contained within. Most of the stories are unrelated to the Witcher series, except for "Droga, z ktÃ³rej sie nie wraca" (featuring Geralt's parents) and "Something Ends, Something Begins", a non-canon humorous story about Geralt and Yennefer's wedding written as a wedding gift for Paulina Braiter and Pawel Ziemkiewicz. It has not been translated yet. A Polish Book of Monsters contains five stories of speculative fiction edited and translated from the Polish by Michael Kandel, award-winning translator of the fiction of Stanislaw Lem. From dystopian science fiction to fabled fantasy, these dark tales grip us through the authors' ability to create utterly convincing alien worlds that nonetheless reflect our own. Are you fan of The Witcher series and Geralt of Rivia ? Blood of Elves is the first novel in the Witcher saga written by Andrzej Sapkowski. It is a sequel to the Witcher short stories collected in the books The Last Wish and Miecz przeznaczenia and is continued by Times of Contempt. The Empire of Nilfgaard attacks the Kingdom of Cintra. Queen Calanthe commits suicide and her granddaughter, Cirilla, called Ciri and nicknamed the "Lion Cub of Cintra" somehow flees from the burning capital city. Emhyr var Emreis, Emperor of Nilfgaard, sends his spies to find her. He knows that this young girl has great importance, not only because of her royal blood, but also because of her magical potential and elven blood in her veins. The girl is being protected by Geralt of Rivia, a witcher - a magically and genetically mutated monster slayer for hire, who takes her to the witchers' keep - Kaer Morhen. There Ciri is being taught by other witchers, including old Vesemir, CoÃ«n, Eskel and Lambert. She learns about monsters and how to fight them. She is taught to fight with a sword in the witcher style. But during her "education", the sorceress Triss Merigold comes to Kaer Morhen. She is called by Geralt to help with occasional strange and abnormal behavior he has seen in Ciri. Triss realises that Ciri is a person with powerful magical abilities, known as a Source. She also acknowledges that her own powers are insufficient to deal with Ciri's talent, and advices Geralt to swallow his pride and seek help with Yennerfer, a more experienced sorceress and his former lover. At the same time, a mysterious wizard called Rience is looking for the girl. He is a servant of a more powerful mage, who remains unknown. He captures Geralt's friend, Dandelion the bard, and tortures him for information about Ciri. Dandelion is saved by the timely arrival of Yennefer, who engages in a short magic combat with Rience. Rience manages to escape due to the intervention of his master, but remains scarred and easier to identify. In the spring, Geralt leaves Kaer Morhen with Triss and Ciri, intending to deliver Ciri to the Temple School in Ellander where she would receive a "normal" education from Nenneke. On the way, Triss falls ill, and they shelter with Yarpen Zigrin's dwarven company guarding a caravan. Geralt shows Ciri the roses of Aelirenn, who died leading the elven young to fight the humans. The caravan is attacked by the Scoia'tael, and Ciri experiences the horror of war for a second time. Ciri's stay in Ellander is still haunted by disturbing dreams until the arrival of Yennefer, who starts educating her in magic as a way to master her talent. From an initial antagonism, their relationship develops into a strong and deep bond, like that of a mother and daughter. Meanwhile, Geralt does his best to track Rience and his mysterious employer. 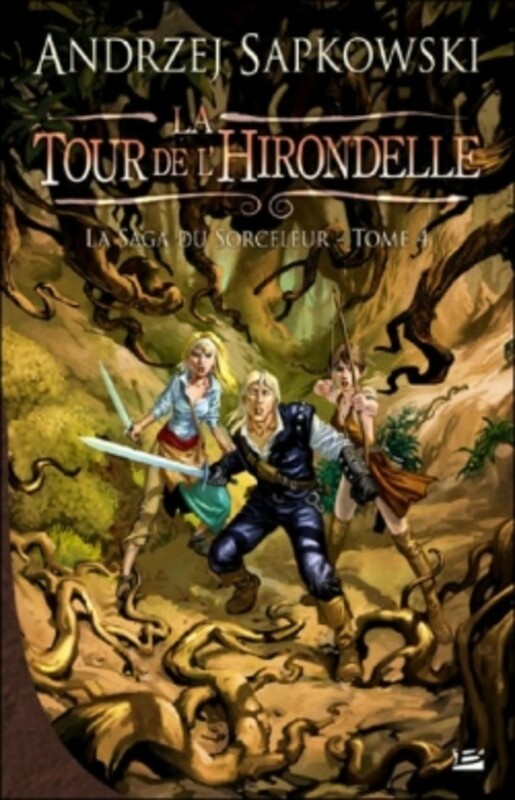 With the help of Dandelion and Shani, he forces a confrontation with Rience, during which both are injured. Rience's master intervenes again, opening a teleport for him, and Geralt is prevented from pursuing the mage by Filippa Eilhart, who also kills the last surviving of the Michelet brothers so as not to provide Geralt any source of information which might eventually reveal the mysterious mage. Times of Contempt (official English translation, literal translation: The Time of Disdain, early title was annouced as Times of Anger, original Polish Czas pogardy), written by Andrzej Sapkowski, first published in Poland in 1995, is the fourth book in the Witcher series and the second novel in the Witcher saga. It continues Blood of Elves, which begins the saga of Ciri and Geralt. 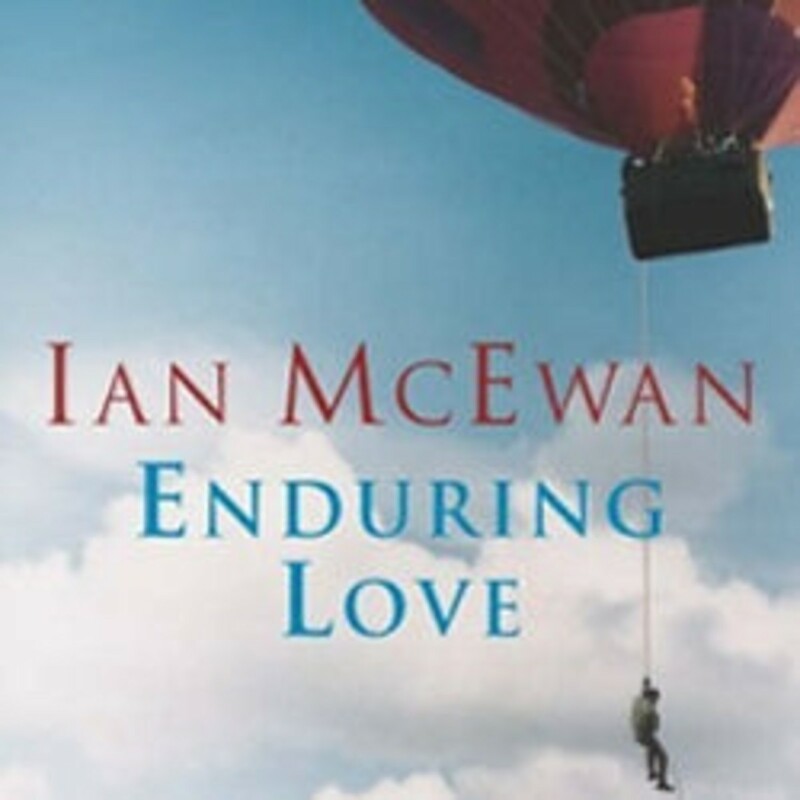 The English version novel is currently being translated by Danusia Stok and was expected to be published in the fall of 2010, this has now been pushed back yet again, to sometime in 2012. The story in Times of Contempt begins where Blood of Elves left off, essentially with Ciri and Yennefer having just left the Temple in Ellander, on their way to Gors Velen, and ultimately Thanedd Island. It is Yennefer's intention that Ciri be enrolled at Aretuza and that she continue her instruction in the use and mastery of magic. Once they arrive in Gors Velen, Yennefer goes to see her old friend Giancardi Molnar, a dwarven banker. The latter informs the sorceress that her financial movements are being tracked, something Yennefer already suspected, but he arranges an essentially unlimited line of credit for her and makes several financial transfers to cover expenses for Ciri's education. He and Yennefer also agree to allow Ciri to see the sights, escorted by one of Molnar's faithful employees, Fabio Sachs. While on their excursion, things get quickly out of hand and Ciri is mistaken for one of about a dozen students who have recently "escaped" from Aretuza in the kerfuffle leading up to the mages' conference being held there. She is apprehended by no less than the former and current headmistresses of the academy, Tissaia de Vries and Margarita (Rita) Laux-Antille after she uses a magical amulet given to her by Yennefer in case of emergency. At the reception, Geralt meets quite a few interesting individuals, but in particular he meets Vilgefortz for the first time. The mage is considered very young (which of course is anything less than 100 years to mages, but he looks more like 35), he is also considered to be particularly talented, but as Geralt finds out, his road to becoming a mage was not exactly the usual route. The wizard was abandoned as a baby and taken in and raised by druids. It was only as an adult that he became a mage. A point he underlines with some emphasis to the witcher. He even goes so far as to try to encourage Geralt to become a mage himself, but the witcher refuses. Dijkstra also tries to recruit the witcher to no avail. In the ensuing confusion we find out that Yennefer had brought Ciri before the Council and that the girl had begun to prophesize. The exact course of events is still unclear. Chrzest Ognia (English: Baptism of Fire), written by Andrzej Sapkowski, first published in Poland in 1996, is the fifth book in the Witcher series and the third novel in the Witcher saga. Wieza Jaskolki (English: The Tower of the Swallow), written by Andrzej Sapkowski, first published in Poland in 1997, is the sixth book in the Witcher series and the fourth novel in the Witcher saga. One day, old Vysogota finds a very badly injured girl in the swamp surrounding his retreat. He saves her life and she tells him her story... the story of Ciri and how she became a cruel killer meeting death at every step. This death - Leo Bonhart. Vysogota, an old philosopher living in the Pereplut swamp, finds an injured Ciri near his retreat and takes her in, caring for her until she is ready to continue her journey. She tells her life story to the old man: how all the Rats were killed by Leo Bonhart, all except for Ciri. As she readies herself to leave, she is convinced that both Geralt and Yennefer are dead. Based on this assumption, she leaves Vysogota to find Tor Zirael. Meanwhile, Geralt meets an elf named Avallac'h who tells him about a prophecy connected with Ciri. He needs to find some druids who will reportedly know where Ciri is. Yennefer is trying to find Vilgefortz's hiding place, but it is no easy task. 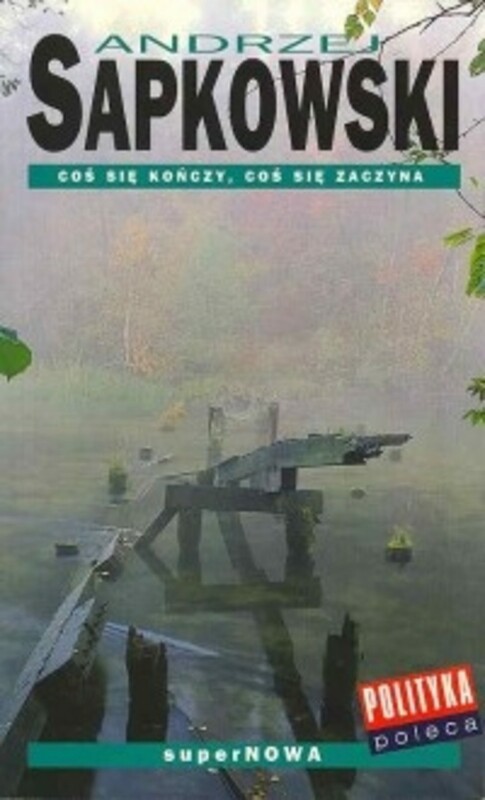 Pani Jeziora (Polish: The Lady of the Lake), written by Andrzej Sapkowski, first published in Poland in 1998, is the seventh book in the Witcher series and the fifth novel in the Witcher saga. After walking through the portal in Tor Zirael while narrowly escaping death, Ciri finds herself in a completely different world... an Elven world. She is trapped there with no apparent way out. Time does not seem to exist and there are no obvious borders or portals to cross back into her home world. But this is still Ciri! And she must get away!!! Get away to finally rejoin Geralt and Yennefer and also to try to conquer her worst nightmare - Leo Bonhart.